This is really super cute and original packaging! Silvia, you are so creative! Thanks so much, Gordana! If I am looking for inspiration, I go to the baking supplies store, bookstore, or anywhere I think I might find something. It would be great if we had a crafts store, though. Omg, I just adore your ideas! Everything’s perfect. Yes, there is such a cutter,it’s called paper puncher, (I have turned around the planet to find them) and there is a place to get it from. I also couldn’t find it locally (i have found only some, but they are not big enough for me), so I tried ‘planetary’. Try at aliexpress.com (not sure whether it’s the right address, but you will find it), there is like ton of it, the question is do they have your dimensions? I haven’t ordered any yet, still looking for the bigger ones,so if you get lucky with searching, hand it over,please! 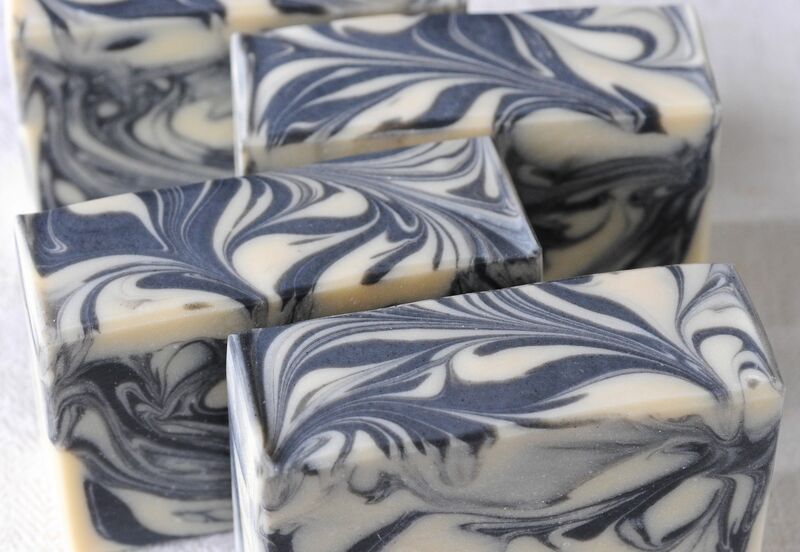 The black & white soap is g.o.r.g.e.o.u.s! Beautiful soaps, and beautiful packaging! It looks like a lot of work went into both. The baking cups add a really pretty touch. 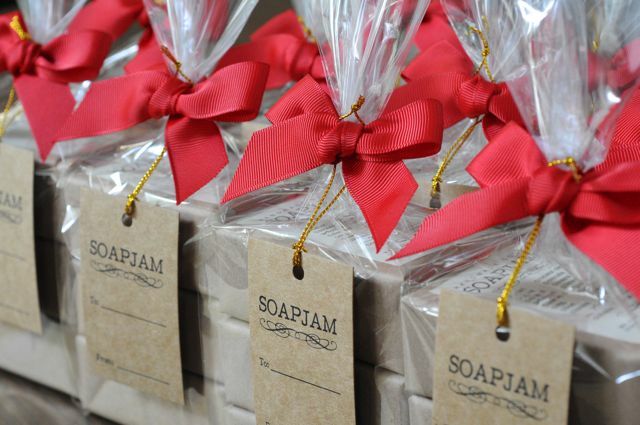 Your mother-in-law will love both soaps, and so will her gift recipients! Beautiful, Silvia! The white&black is pure beauty! You Did a lovely job Silvia. 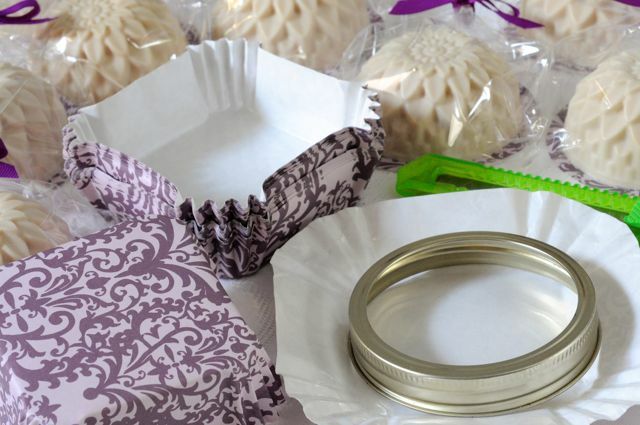 Your packaging is beautiful, as well as your soaps. Amazon has small paper doilies. This packaging is adorable! (Of course the soaps are too!) I hope your mother-in-law loves them! Beautiful soaps Silvia and I love your packaging idea! You are certainly patient to be able to cut out even 30 of those. Your packaging looks absolutely professional, it’s hard to believe you do it all yourself. I’m happy you think the packaging looks professional, Monica. That means a lot to me. But if you look closely, the circle is a bit crooked and there are some creases. I had to use a lot of might to hold down the ring and cut right next to it. That thing just wanted to move all the time! I did have someone help me stretch out the baking cups so I could focus on the cutting. You have a plan, I can’t wait to hear what it is! I’d still love to meet your mom-in-law and have her tell me what an awesome daughter-in-law she has. Thank you for the tip, Sue! Heading to the Silhouette sight after this. Yeah, my mother-in-law is so sweet and so generous. Thank you, JV! 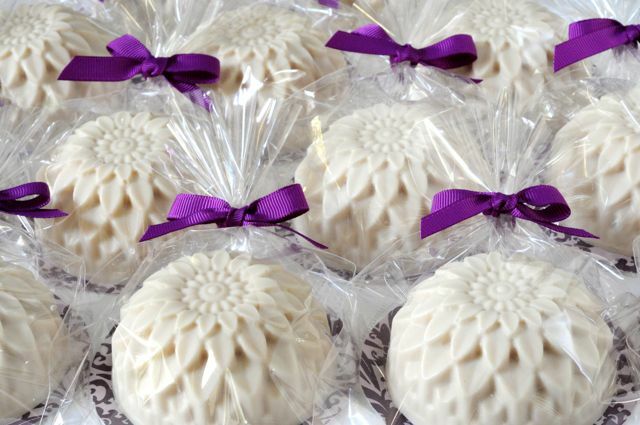 I am in love with that chrysanthemum soap, what a wonderful gift that will make! Your mother-in-law sounds like a doll, it’s so nice that you cherish and appreciate each other. I love your gift set and the black and white soap too, you have a real flair for packaging!